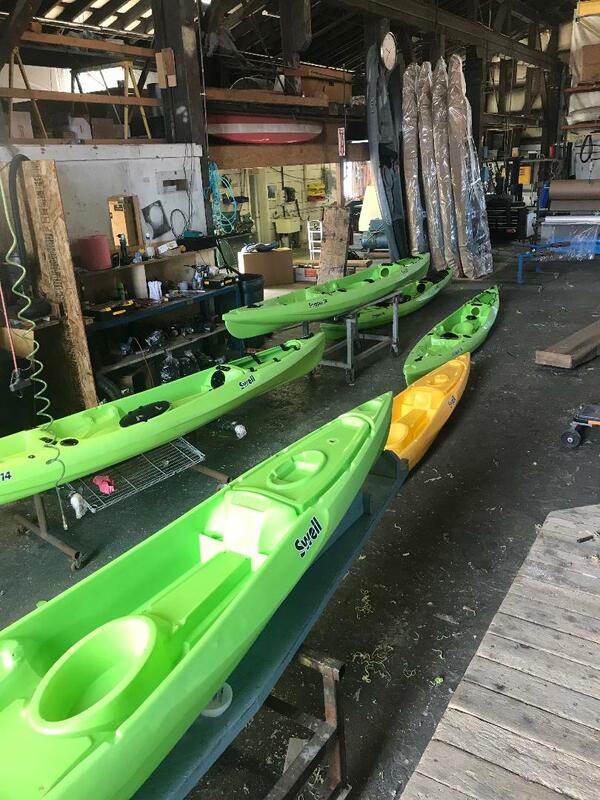 (Bellingham, WA) After 18 months of intense design and planning, the first production of the highly anticipated Swell Scupper 14 kayak has finally begun. 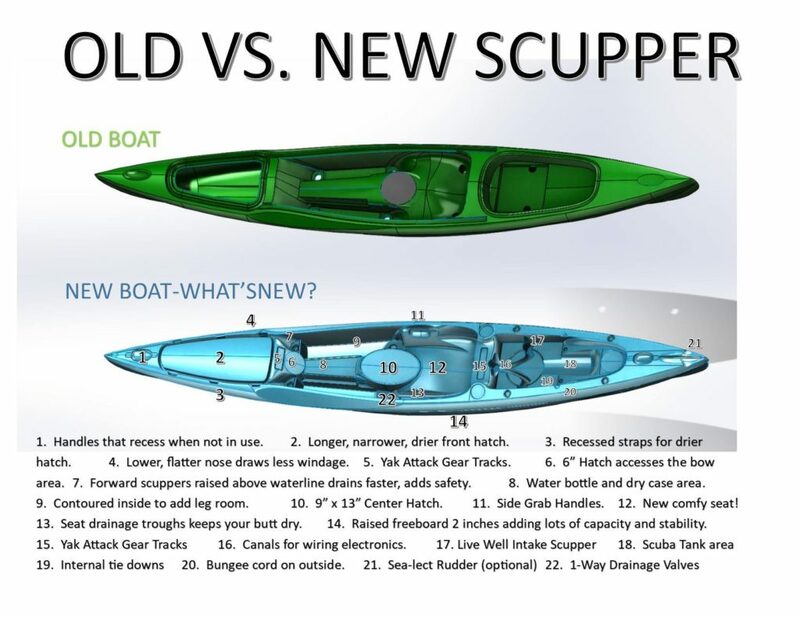 Originally conceived by Ocean Kayak founder Tim Niemier, the Scupper is especially pertinent to kayakers who face tough conditions and cover many miles per day. 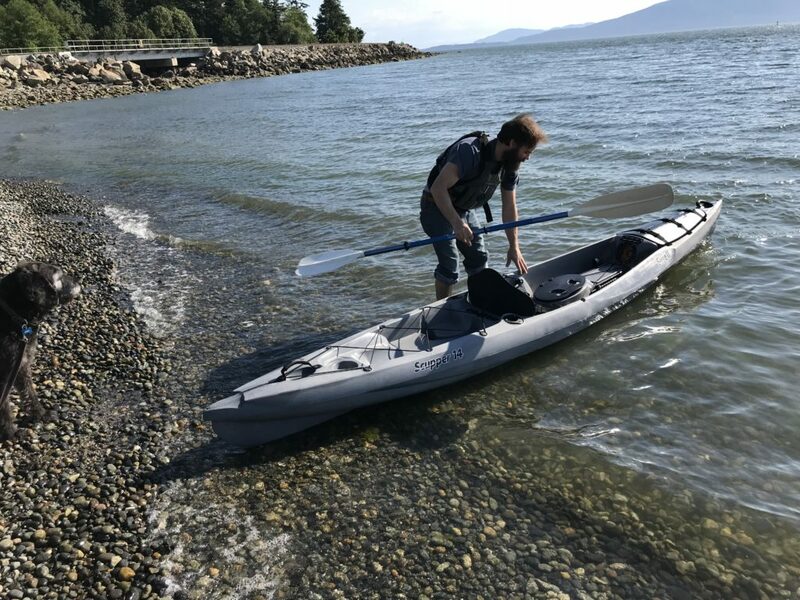 It’s easily the fastest recreation sit-on-top kayak money can buy, but it was also designed with safety and stability in mind. Niemier was helped by former Ocean Kayak employee Adam Bierschenk, who created the Computer Aided Design(CAD) files and added some key innovations. Another Ocean Kayak alumni, Larry Schoenmakers, is producing the kayak at his Cypress Designs factory in Bellingham, WA. The footwells were dropped below waterline, making the kayak incredibly comfortable. This creates an incredibly smooth stroke that doesn’t hit your knees. To deal with all this, we built a nifty 1-way valve that drains excess water when you paddle forward. It’s the first performance sot to launch in years-adaptable for fishing, diving or just touring. The 14 foot, 25 inch wide kayak weighs just 59 lbs, making it perform great off the water as well. If you need to cover miles, deal with foul weather, or just want to get there faster while burning fewer calories, you’ll want to try this kayak. 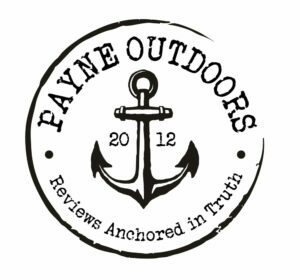 The Scupper will be available at a limited number of kayak retailers in 2 weeks. If you’re interested in trying the Scupper, make sure your local dealer carries them. Follow our social networks for more information and look for swellwatercraft.com to be updated shortly. Swell Watercraft is a Bellingham, WA based company committed to American manufacturing of innovative small boats and accessories. They place core kayakers’ needs over all other priorities. It is 100% Paddler Owned & Operated by former Wave Sport pro kayaker Ted Keyes and Canoe & Kayak Magazine Publisher Jim Marsh. For more information go to swellwatercraft.com or follow them at Instagram or Facebook.